Type2 Vitamins developed a unique, physician formulated blend of vitamins and minerals- just for you. You are doing your best to manage your health, and you deserve the best. You deserve better than the standard drug store multivitamin, and that’s why Type2 Vitamins’ Diabetic Multivitamin is the right choice for you. 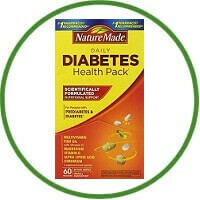 Sure, there are other diabetic multivitamins on the market, but none are as good as this. 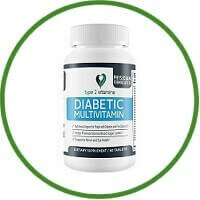 Diabetic Multivitamin is a physician formulated blend of premium ingredients designed specifically for those with Diabetes and Pre-Diabetes. Physician-formulated for the maximal level of benefit and efficacy.